Call Christian Speakers 360 at 1.800.966.1380 if you would like to contact a Paul Molitor booking agent for a speaking engagement, personal appearance, church function or other faith-based event. Christian Speakers 360 is a Christian talent agency for booking athletes, celebrities, ministers and entertainment. 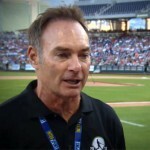 Paul Molitor speaks about Christian values. Many of our speakers are born again Christian evangelicals who honor Jesus Christ's message through communities, schools and ministries. For information on Paul Molitor's appearance fees, speaking costs and availability, contact Paul Molitor's booking agent for details. Molitor is a former designated hitter and infielder who played for the Milwaukee Brewers (1978–1992), Toronto Blue Jays (1993–1995), and Minnesota Twins (1996–1998) during his 21-year baseball career. In 2004, he was elected to the Hall of Fame in his first year of eligibility, becoming one of the first players who spent a significant portion of his career as a designated hitter to be enshrined. He was known for his exceptional hitting and speed. In 1999, he ranked No. 99 on The Sporting News' list of the 100 Greatest Baseball Players, and he was nominated as a finalist for MLb All-Century Team. In 1980 Molitor had developed an addiction to cocaine. He himself recognized the depths to which he had fallen. Molitor had been raised Catholic and attended Catholic school, but “kind of got away from it.” At the University of Minnesota he had “[undergone] a religious transformation” in the words of reporter Tim Wendel, and became a devout Christian. Molitor resolved to quit the drug and credited his success to his faith. “I believe that God answered my prayers,” Molitor maintained, “and gave me the strength to fight the addiction and finally to stop using cocaine.” To book Paul Molitor for a speaking event or appearance, contact Christian Speakers 360. DISCLAIMER: Christian Speakers 360 does not claim to represent itself as the exclusive agent for Paul Molitor. Christian Speakers 360 is a booking agency that represents organizations seeking to hire Christian athletes and celebrities such as Paul Molitor for speaking engagements, personal appearances, product endorsements and corporate entertainment. Fees on this website are estimates and are intended only as a guideline. Exact fees are determined by a number of factors, including the location of event, the talent’s schedule, requested duties and supply and demand. Christian Speakers 360 makes no guarantees to the accuracy of information found on this website and does not warrant that any information or representations contained on this website will be accurate or free from errors. We are often asked how can I find out who is Paul Molitor's agent? To find Paul Molitor appearance fees and booking agent details, you can contact Paul Molitor's agent, representative or manager through Christian Speakers 360 for speaking fee costs and availability. Christian Speakers 360 can help your company choose the ideal Christian speaker or entertainer for your next event. To hire Paul Molitor for an appearance, speaking event or endorsement, contact Paul Molitor's booking agent or rep for more information.